Happy Monday everyone! Today, Rose Wulf stopped on over to help get our week started. Check out her new release Stayed For Alpha. It's the 3rd book in her Night Shadows series and just what we need to get us through the Monday blahs. Hello again! Thank you so much for having me back! 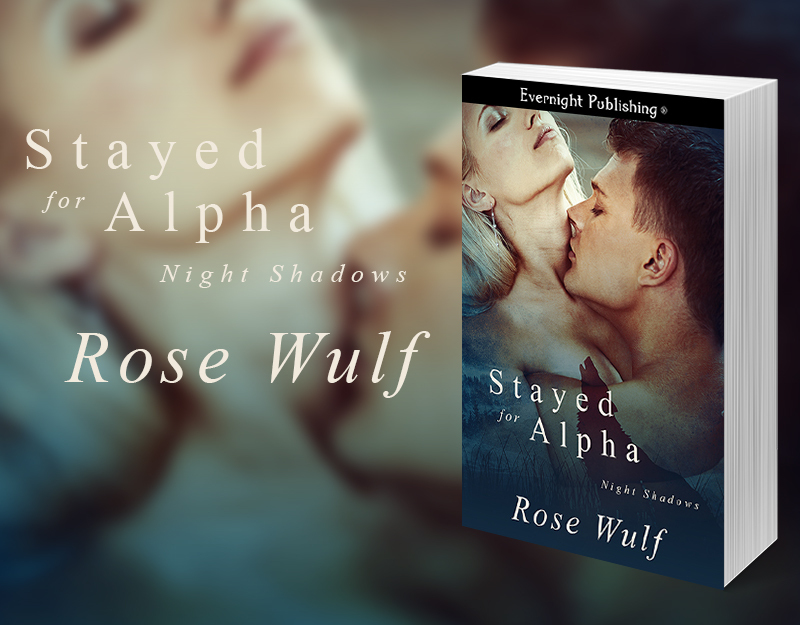 This time Iâm here to tell you about the latest installment in my Night Shadows series: Stayed for Alpha! Adam Jefferies is a young Alpha taking a big risk. He wants to set down roots in California - a state largely claimed by the oldest and most powerful vampires. He's going to have to earn their place the hard way. When Adam takes Whitney in she says it's temporary. He knows it won't be, but he'll have to show her why if he wants her to stay. But when was the last time Rogues traveled in groups? Maybe that was the problem. Dylan was obviously Rogue. That alone would give most wolves reason to be cautious. Brody and Camila were followers. Gammas. Their attaching themselves to a stronger wolf made sense. And if Dylan had Alpha in him, his acceptance of them would make sense, too. But he swore he didnât. Adam just wasnât sure whether or not he believed that. As he watched, Dylan leaned a little too far into Whitneyâs personal space and Whitney recoiled. Adam felt a surge of possessiveness flare inside him. Dylan was flirting with her and it pissed him off. Fortunately, Whitneyâs rejection of those advances was fairly obvious. Except, apparently, to Dylan. Dylanâs arm extended as though he were reaching for her and Whitney moved fluidly to her feet. Out of reach. Adam took a step forward on instinct. That was probably for the best. Although if Adamâs possessive instincts didnât cool off, Dylanâs time with them would have to be cut short. Adam didnât really need to be asked, but he didnât bother to explain that, either. Instead he wrapped his arms around her waist and hauled her up to his lips. His tongue slipped into her mouth without resistance and Whitneyâs hands dug into his shoulders as she held onto him. He nearly growled against her lips. Suddenly he felt like heâd been starving for her, and it was harder than it should have been to keep the kiss from leading somewhere. He was hard and suitably breathless when the kiss broke. The sound of her own uneven breathing drew a brief grin from him. Until he remembered the reason for her demand. âWas Dylan bothering you?â he asked, voice low so as not to carry. Doing his best to smother his growl, Adam bent his head and traced his lips along her slender throat. âWeâll just keep reinforcing it.â Right then, right in that moment, Adam would have marked her as his just to keep her safe from another wolfâs harassment. As it was, he vowed that for as long as she was his heâd make sure his scent lingered on her skin. Thick enough that no wolf with half a nose could miss it. âAre you sure about including them?â Whitney asked, drawing him out of his lust-induced frenzy. Mostly. 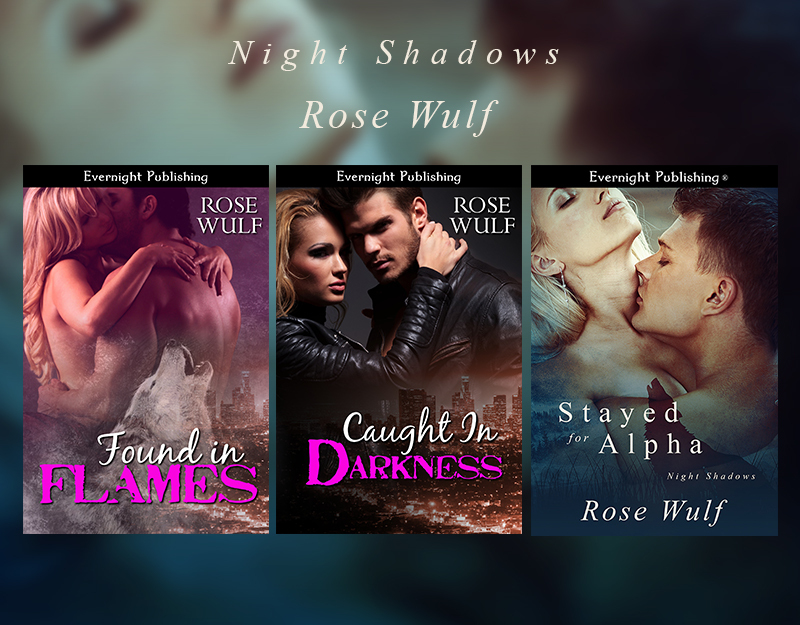 Rose Wulf is a giant romance fangirl. Hot, protective, sometimes even downright barbaric heroes and spitfire heroines are her favorites. Rose has been writing for as long as she can remember, and over the years sheâs only grown fonder of it. The bonds between characters have always captivated her, and as an author those are Roseâs favorite things to play with â not always to the relief of her fictional babies! Behind the scenes Rose is a quiet personality. She enjoys spending her non-writing time with her German Shepherd, Shadow, her mom, and her friends. Be it a fun game of Cards Against Humanity or a relaxing movie night, Rose believes everything is better with company. As for her own romance, sheâs still searching for her hero (and hoping that, when she does find him, heâll be willing to cook! ).